Unfortunately, I didn’t get to release any new games this year though I have been working on some projects. I have been working a lot on the new Piles’O’Tiles engine, which i’m not sure yet when it will be ready. I have also started working on some Android code, so I am hoping to be bringing some of my games to this exciting platform. The first game released will most likely be Jelly Othelly, but I may change my mind in the future with that and release something else instead, like Piles’O’Tiles. I am pretty sure I have forgotten to add something epic to this post, so I apologize ahead of time and will keep editing it as time goes on to thank all the great people that helped me this year. It’s time to enjoy a bit of 2011 with a large pint of beer and a compiler! 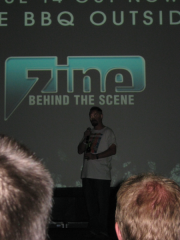 Evoke 2010 – You Should Have!! Evoke 2010 was awesome this year 🙂 Lots of great demos, great competitions and many great people 🙂 Truly a party to remember 🙂 It was extra special for me, as Zine was released there. The parties held by our fellow Brainstorm goats were also unforgetful, and I absolutely cannot wait until next year! Yes of Brainstorm took some great pictures, you can find them Here. Again, thank you to everybody who worked on zine to get it ready in time. It was a show that wont be forgotten!